When Should I Have Checkups For My Child? - Adelberg Montalvan Pediatric Dental PC & Orthodontics too! When Should I Have Checkups For My Child? Good dental health for children is something parents must begin to work on while they are infants. As soon as a child begins to get teeth, they should begin getting regular check-ups. A pediatric dentist will examine the mouth of your child, looking for new teeth and signs of infection. At age 12 months, some children have 8 teeth and others have none, but this is still a good time to schedule your child’s first dental check-up. At Adelberg Montalvan Pediatric Dental we understand the importance of identifying and addressing dental problems as early as possible. At your baby’s first check-up, we will perform a thorough examination to see if the gums are red, swollen, or tender because of new teeth erupting or signs of any dental issues. We can suggest ways to soothe your child’s aching gums and teach parents safe, painless techniques for cleaning children’s first teeth as they begin to appear. We recommend children have at least one dental check-up every 6 months to a year beginning at age one. 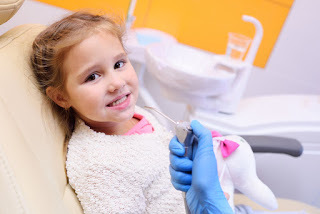 We specialize in providing children with excellent dental care. We will work with parents to ensure their children learn good dental habits that will benefit them for a lifetime. We teach simple techniques to ensure children have clean, healthy teeth and gums. We are board certified pediatric dentistry and orthodontics specialists. We provide our young patients with the superior care they need to build a solid dental health foundation. We help them to understand taking care of their teeth now will prevent pain and pay dividends for years to come. Our staff is warm, friendly, and welcoming. We know exactly what to do to make children feel comfortable. Once we get them to relax, we ensure their teeth and gums are healthy and teach them some simple things they can do to keep their teeth looking, functioning, and feeling great. If we see a problem with your children’s teeth or gums, we identify the cause and create a comprehensive treatment plan to address it. This helps to eliminate problems before they negatively impact the child’s smile, ability to eat comfortably, and their confidence. If you have further questions pediatric dentistry, contact us!